One last day at Big Bend – we elected to visit Santa Elena Canyon, and were totally unprepared for how beautiful it was. We loved being at BB during the low season. Having the campgrounds to ourselves was such a privilege. Here are a few of our favorite scenes. hot springs in Big Bend. They were hot! 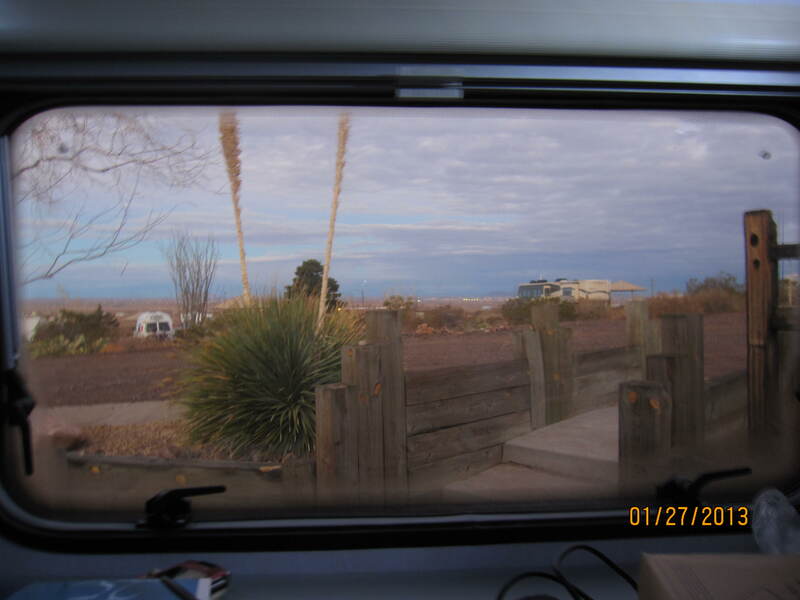 After leaving BB, we headed to Deming, NM where we stayed at Rockhound State Park for one night. We were a late arrival, but they were good enough to put us up in the group campground, where we had a great view, and pretty quiet accommodations. Now we’re off to Green Valley, AZ, where we’ll store the Fireball, except for a few special trips for the next couple of months. 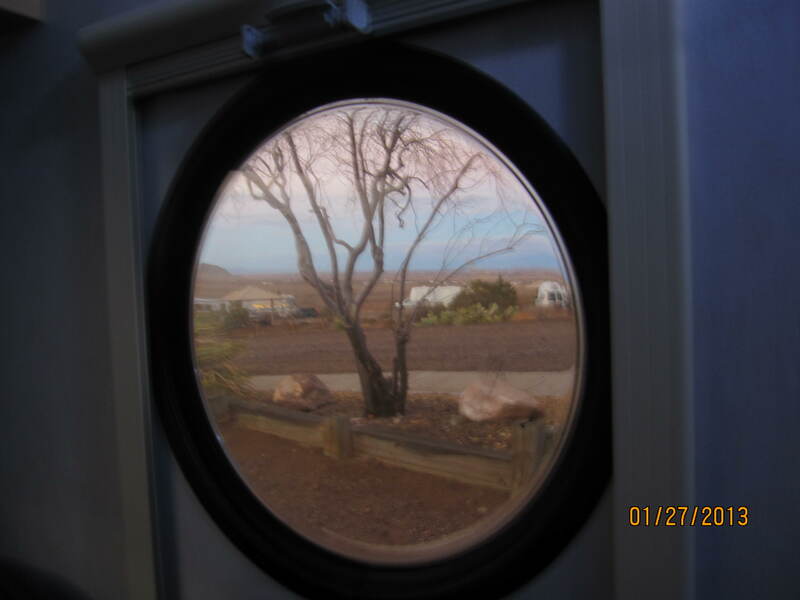 We own an aging 5th wheel (lovingly referred to as Fema) which has a permanent residence in Green Valley RV Resort. Fema has made her last road trip. We’ll be in Green Valley until mid-March, when we begin our wander back to Michigan. Love your pictures. They highlight both the awesome power and terrifying fragility of nature. Keep them coming. We’re in love with the National Parks. Each has its own special character, and it’s not difficult to understand why each property has come under the protection of the Park system. We finally cruised into Green Valley yesterday, so we’ll be into our regular ‘routine’ for a bit. But we’ve got side trips planned to some of the great AZ sites. Thanks for checking in.